Pulse//Wave investigates the inner sound nature of an object. 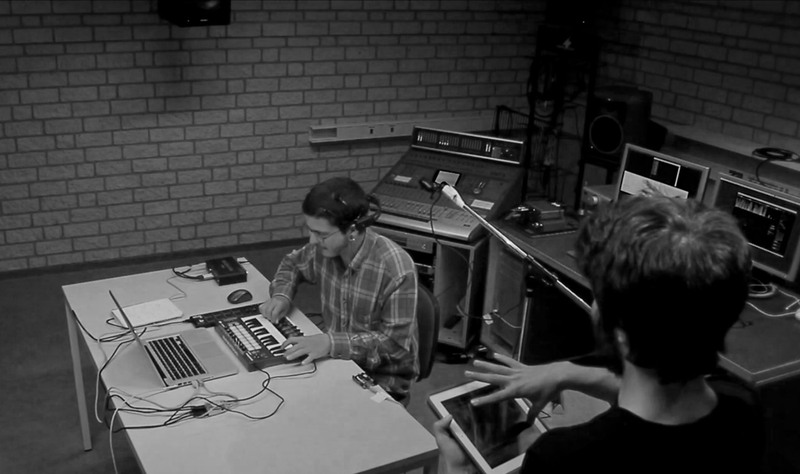 Two performers are challenged to tame material’s sound behaviour. Resonances are amplified and exposed, revealing hidden patterns through sound. Matter and flesh become instruments. This performance has been premiered at STEIM, Amsterdam, for the Connector concert series. Original soundtrack for the silent movie The Rink (1916) directed by Charlie Chaplin. This work has been commissioned by the collective Edison Studio for the III edition of “Sounds of Silences”. The soundtrack has been premiered during the Roma Europa Festival 2018. Love is fear (H αγάπη είναι ο φόβος) is a short animated film based on the poem, that was crafted by Manolis Anagnostakis and was included in the collection Seasons 3 (Εποχές 3). This short animated piece aspires to combine written and spoken language with contemporary mediums (animation and sound), emphasise the diachronic character of the poem and invite the audience to preserve and experience the poem by using multiple senses. Official selection for the Greek Panorama section at Animasyros 11, International Animation Festival. Syros, Greece. Official selection at LIF (Little Islands Festival), Sikinos, Greece. Official selection for the Animation programme at 14th Athens Digital Arts Festival. Athens, Greece. 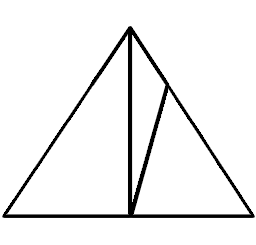 Official selection for the Extremely Short Section Of Extremely Short Films section at 1st Fest Anca International Animation Festival. Zilina, Slovakia. Official selection at 1st Chania Cartoon & Animation Festival. Chania, Greece. 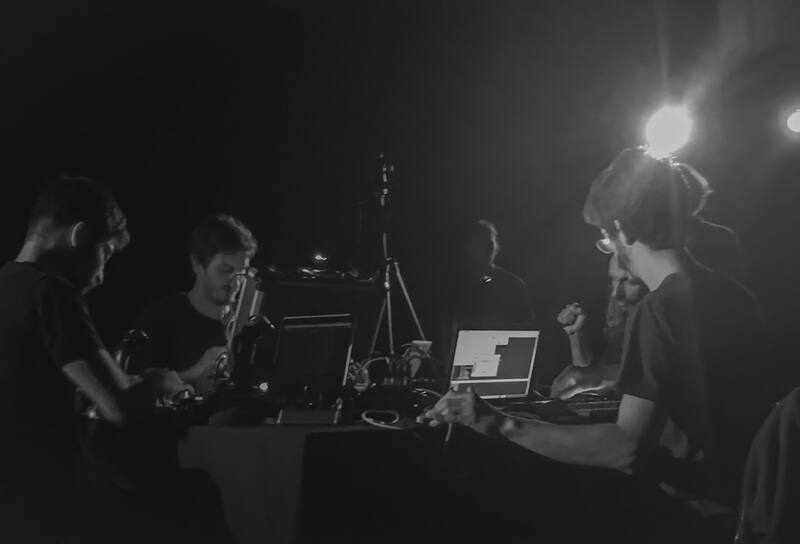 Miloš Cathals is an improvised round table musical discussion of four distinctly different live electronics setups, integrated into a larger system. The project was initiated in 2015 as a side-research platform where the different ideas and approaches of each member would be exchanged, explored and exploited in a collaborative environment. Miloš Cathals has performed in the Netherlands, Germany, Greece and Italy and in October 2017 they received an honorary mention from Matera/Intermedia Festival and the support of Creative Industries NL and the European Cultural Foundation. 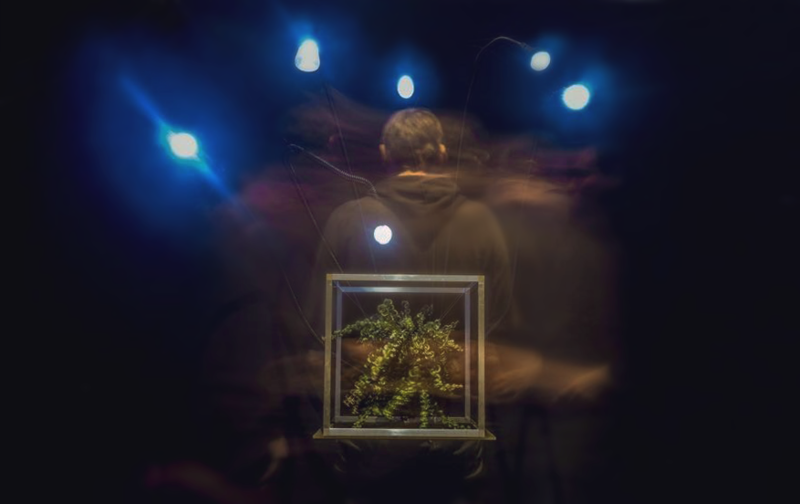 Synaesthesia is a live electronics solo performance involving biophysical sensors and active lighting. 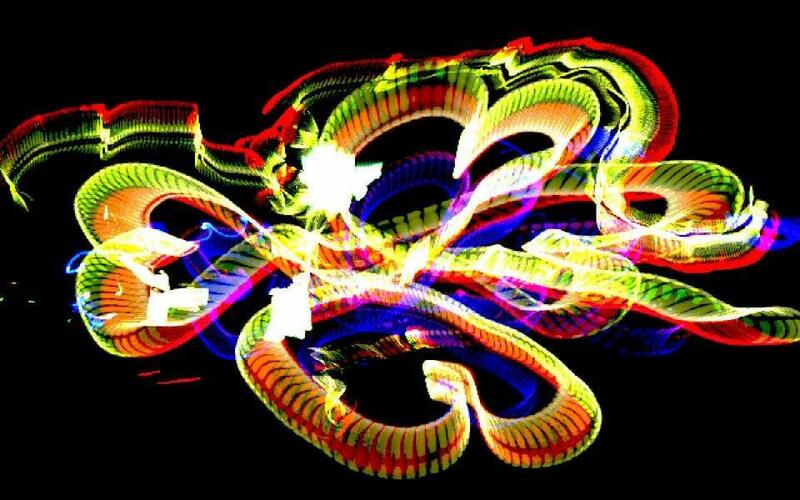 Synaesthesia aims to explore the musical and corporeal performance practice built upon the active stimulation of the senses of sight, hearing and the perception of the muscles. 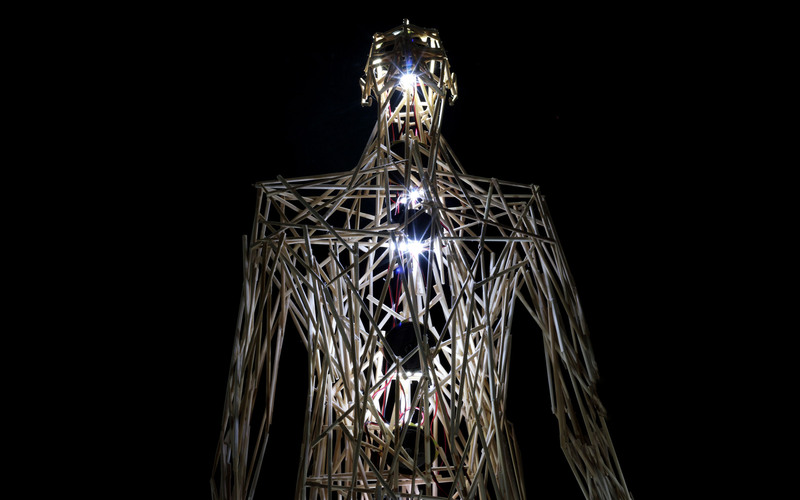 The performance is based on a synesthetic system composed of wearable sensors that respond both to bio-signals and dynamically controlled lighting. 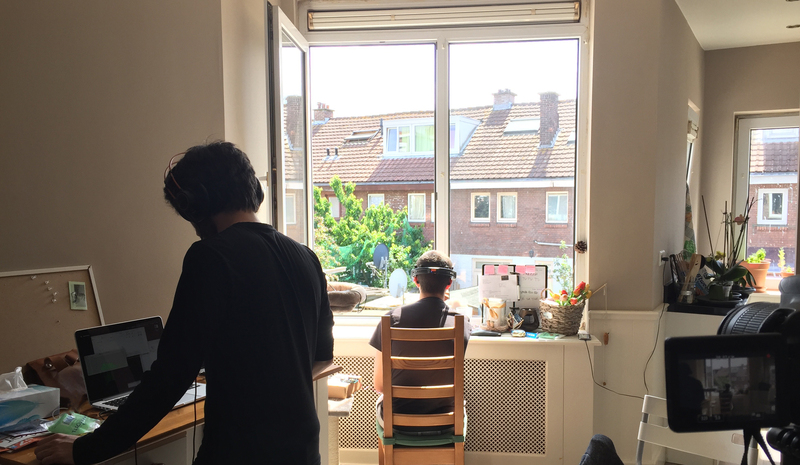 This work has been selected in the Open Call organized by ADE Sound Lab and Stimuleringsfonds Creatieve Industrie NL, winning the corresponding grant for its realization. It has been premiered on Saturday 22th October at the Compagnietheater in Amsterdam. Shot on-board a container ship, the camera charts the unfolding industrial landscape of a centuries-old naval route, as the narrative embraces the constant rhythm of flowing cargos. In the ports, the fluorescent light and the shadows it brings to life, point to stories of work, play, dignity and survival. Does the inherited malevolence in the cycle of a mechanical action hold a universal footprint about its ramifications? Is violence the thriving behaviour in these ports? Machines that hunt and devour. Do they bury the dead? Conscious of killing and ruin? Can something synthetic feel more alive than something organic? In collaboration with Stijn van Vilsteren & Rense Notenboom. Decoding Structure is a animated film based on the omonymous music track, composed by Kyriakos Charampides, and is included in the project Re: SinThesis. The film explores the noise as a phenomenon produced by the sonic environment and as a new type of information captured, decoded and accepted by human beings. 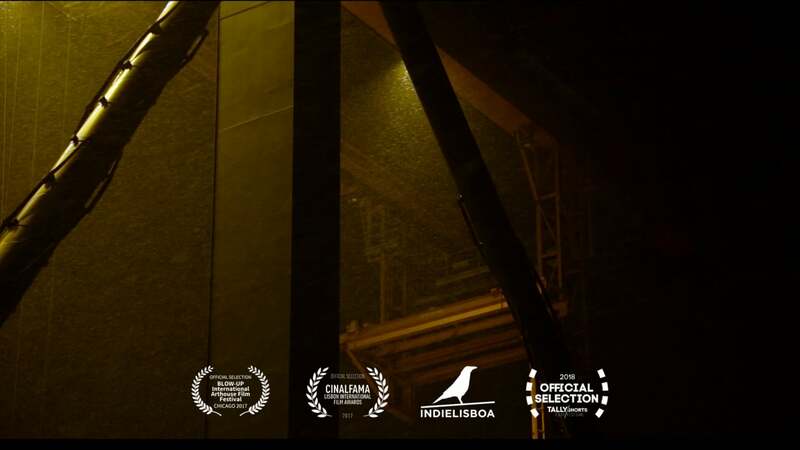 Official Selection at the exhibition Hotel Europa [CONCORDIA]. Amsterdam, Netherlands. "In the dark" is a VR horror game that was created as part of the "Pursuing pleasure through fear" research project. A young boy wakes up in the middle of a stormy night. The player becomes one with the boy and begins the pursuit of a key. This key will ultimately allow the boy to reach the safety of his mother. Awaken is an interactive sound installation that explores the relationship between instincts and conscious thinking. What is the influence of the natural impulses over the rational? Awaken narrates its struggle to the viewer, seeking his/her attention through its actions. 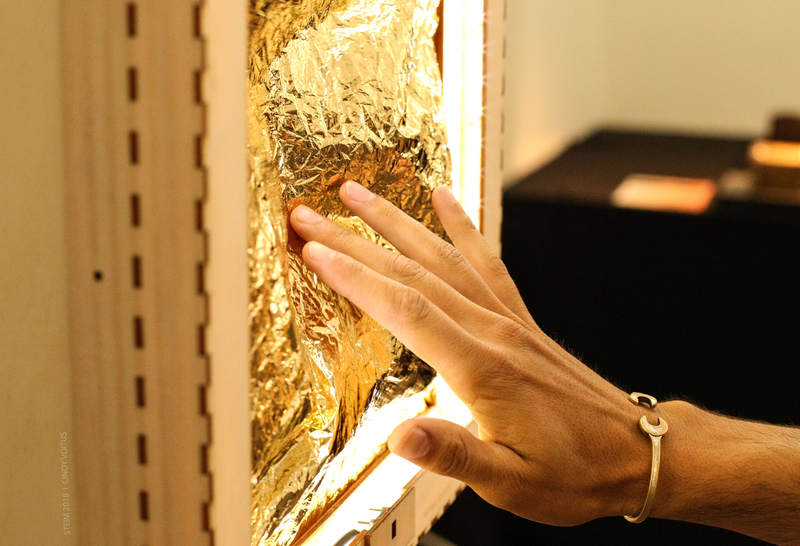 The viewer is invited to touch Awaken's skin, forcing a shift in the balance of the dialogue . MuseumNacht 2018, EYE Film Institute, Amsterdam. "Black Roots & Time Fruits" is an audiovisual dancing performance. The performance contains projected animated props, live performing dancers and exclusive soundtrack. The performance was based on the history and the evolution of “black” music (gospel, blues, soul, experimental hip hop, rap) along with the reformation of the environment, history and aesthetics. Official Selection at Athens Video Art Festival [Visualize Athens]. Athens, Greece. Music video for the Phonotribe Project (cortes & k_os). E.O.S is a short animation film that visualizes the homonymous electroacoustic composition which is part of of the project Re: SinThesis. It narrates the electrification of the soundscape(E.O.S) and in extension, to the electrification of the visual and experiential space. "In memoriam of Cassini’s satellite” is a collaborative performance based on two different systems: the ExGen, a digital instrument based on Xenakis’ GENDY algorithm, and the Rhythmanalyst, a sonification method inspired by Lefebvre’s Rhythmanalysis. During the performance, the main performer is challenging the ExGen while his hand movements, the sound results of the instrument, his heart beat and his brainwave activity are analysed and sonified through the second system. By this method, the sonification is guiding the performer through an exploration of his performative vocabulary and the different capabilities of his instrument. Video processing environment for drawing in digital environments using light sources in real time in mid-air. The software has been developed for the event OHM – Percezione del Tempo e Quarta Dimensione, realised by the collective OHM Art and funded by the Estate Fiorentina 2015 festival of Firenze. Diplotypia is a short-film dedicated to a sequence of contrasting concepts and the technique of overlaying. Pieces of a story, broken in time, espousing their unique existence. Non Linear Diegesis is a short film that visualizes the homonymous music piece included in the project RE: synthesis . Based on the scheme of D.R. Laing, “Rupture” narrates the process of information distuption in an extreme state of psychotic episode. The piece was commissioned by the exhibition “Inner-Outer Self” 2014. The Rhythmanalyst is a multi-modal sonification platform inspired by Henri Lefebvre’s theory of Rhythmanalysis. Its purpose is to sonify periodic correlations between audiovisual stimuli and autonomic biological reactions. During the course of this development four analysis/resynthesis units was designed in order to study the simultaneous sonification of audiovisual motion, heart rate analysis and brainwave classification . The individual engines aim to study the utility of sonification for portraying temporal data variations while their combination utilises a single auditory display for illustrating multiple complex data sources simultaneously. The realisation of this platform is based on a combination of machine learning classification methods and physical modeling synthesis techniques inspired by Lefebvre’s theoretical analysis. Through this inspiration, sonification is considered as a tool of reduction that expresses the complexity of multi-dimensional data analysis. The main objective of this study is to investigate the utility of sonification for micro-structured periodic data in order to apply Lefebvre’s theory to contemporary sound studies. Synergy Manipulation is an interactive sound sculpture. The antropomorphic wooden sculpture incorporates 7 loudspeakers and light sources, each representing a Chakra, or energy point. Through the interaction of the public the sculpture resonates on the different chakras that disclose their characteristics through the sound activity. 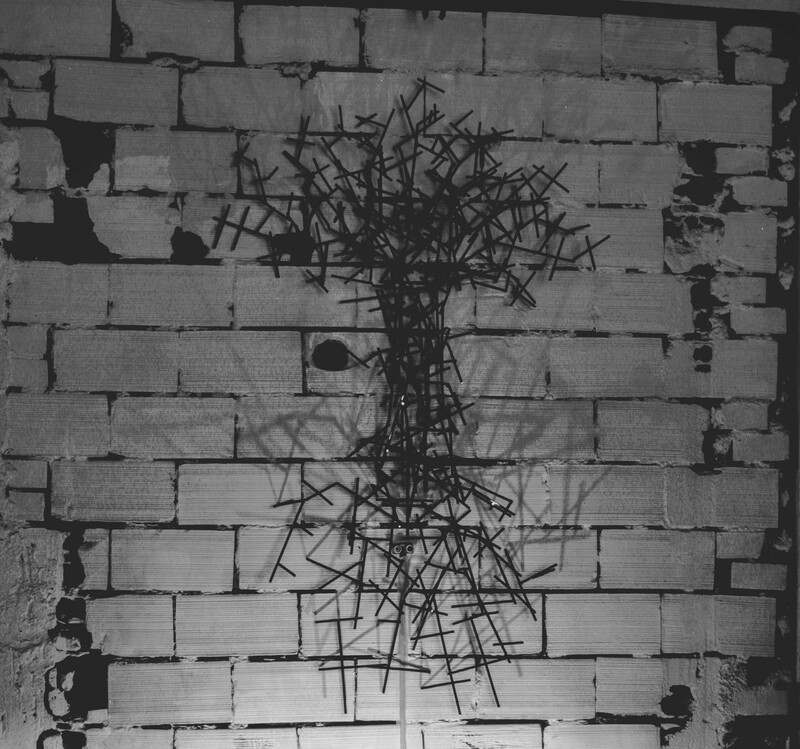 A sculpture resembling an exploded tree and a crucifix made of scrap metal. A sound and light interactive system. An ambience of life and death. Transmission is a visual interpretation of a poem by the same name, crafted by Chris Sakellaridis, and is part of the 3361 Orpheus project. 3361 Orpheus is an experimental performance, that combines poetry, music and animation and draws inspiration from a range of retellings and adaptations of Orpheus's myth. Official Selection at International Film Poetry Festival 2016. Athens, Greece. Nightfall is a music video created for D.T.R.A.N.E.R. and his debut album "Shards of memory". Lament (Θρήνος) is a short animated film based on the poem, that was crafted by Miltos Sachtouris and was included in the collection ΣΦΡΑΓΙΔΑ ή Η ΟΓΔΟΗ ΣΕΛΗΝΗ. This short animated piece aspires to narrate a transition from the present world to a better one. The storyline includes incidents that are strongly related to war and lead to the end of the present; recreating a future imaginary world. 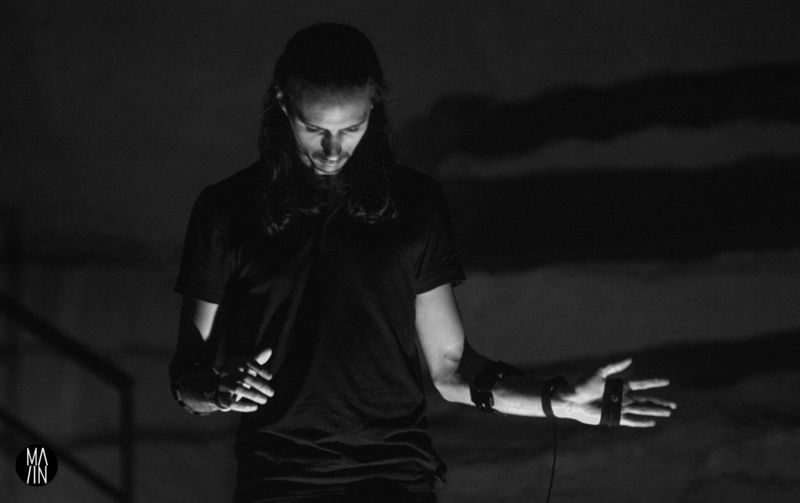 Feel Alive is a music video created for Rainmaker. 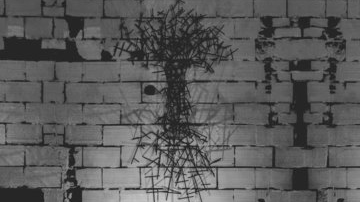 The music video, opposed to the title of track, explores the cruel transformation and the manipulation of a human being in an urban environment.